Some religions of the World believe that a person’s actions reflect what happens to that person. Good deeds ultimately result in returned positive actions and vice versa. 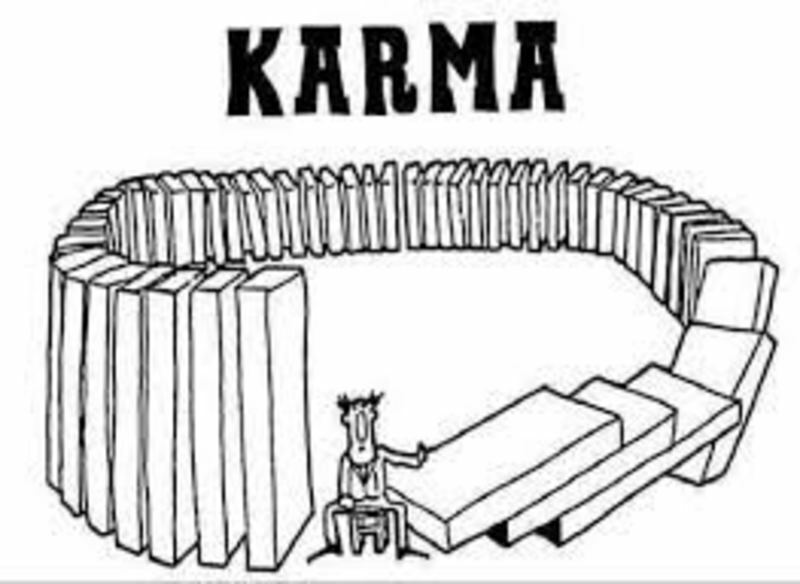 Bad deeds bring bad experiences. So not quite sure what I may have done do deserve a short string of negativity the past few weeks. Nothing health hindering or serious, I may add but negative nonetheless. Just back from another family visit in South London and very plasant it was too. Then , on Sunday afternoon we made the mistake of trying to head back via inner London and Chelsea Bridge. 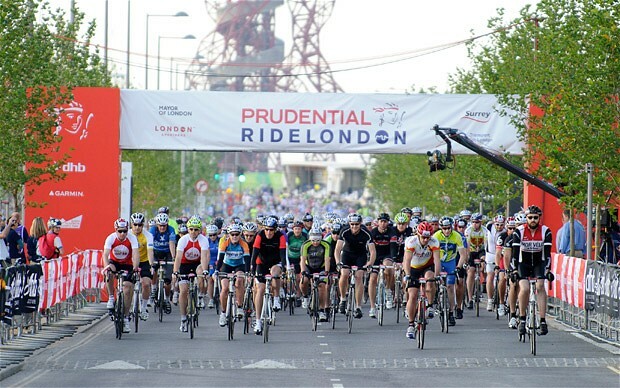 Somehow we had missed the fact that the huge and laudable, “Ride London” event was taking place. Bridges over the Thames were simply blocked off and road closures extended beyond and into Surrey. 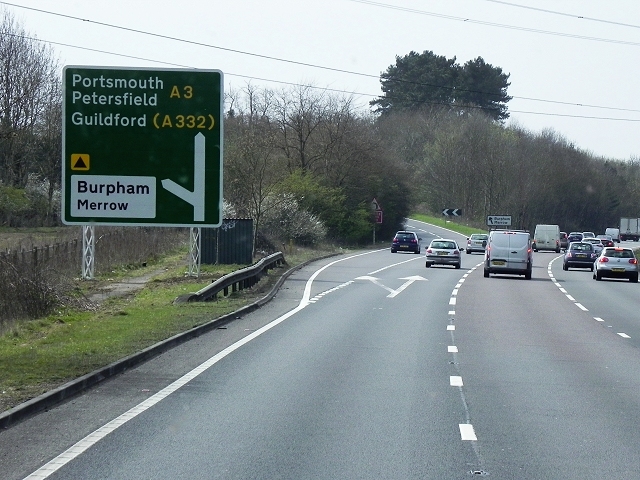 We followed our slow thinking Garmin Sat Nav and eventually trecked out down the A3 towards Portsmouth and then the clockwise M25. Traffic was just horrendous especially London bound from the M25. But there was more…….. In very heavy, slow moving and in my case, stationary traffic somewhere opposite Chelsea Harbour, a very young Pizza delivery rider (NOT the one above, I stress………) shot up a narrow gap twixt Kampa and granite stone curb narrowly missing my offside mirror. But then, to my amazement, this inexperienced excuse for a biker, suddenly swung left in front of our Kampa striking the front with his huge double decker Pizza delivery box or footpeg whatever. 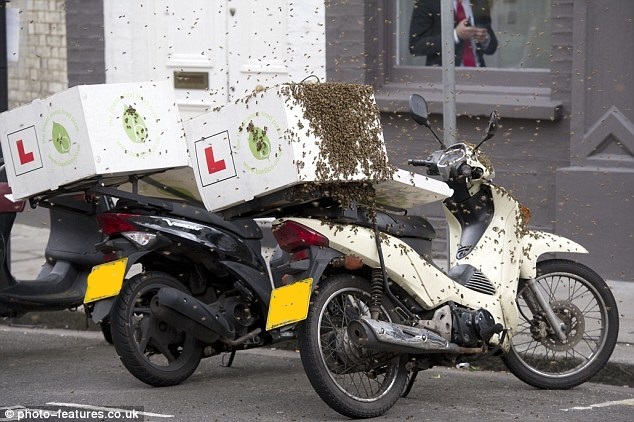 He ignored the collision and headed off between two lanes of stationary traffic before stopping out of range of the wasps nest of “whupass” vibrating loadly in my ” incredible hulk” alter ego. The situation was far too busy to check for damage and anyway the nasty little twerp was long gone. I pulled onto a Garage forecourt and took a look at a map. Yes, a paper map. Useful beyond belief when you are truly lost and recognise no road signed place names. Only a few easily polished out marks on the front bumper could be seen. Probably a rubber footrest ? But ! There was more to come………..
Now, anyone who has ever replaced a body panel knows that on decent motors, the gaps between panels can be quite narrow and are very precise. The gap to the front of the cab doors on the NV200 for example are tight, being just a few millimetres wide. How unlucky therefore (or terribly bad karma ! gulp……..) for something to have been flung at an angle into that tiny door gap. The projectile must have been extremely well matched to that gap with such force to have crushed the metal of the door panel somewhat and chipped the door paint. It must have happened during one of our runs up to 70 mph. I imagine that whatever did the damage was metal itself, perhaps a metal strip, nail or such like to have so precisely damaged the tiny area on the offside cab door. Bizarre! see more about Body damage in a posting below. 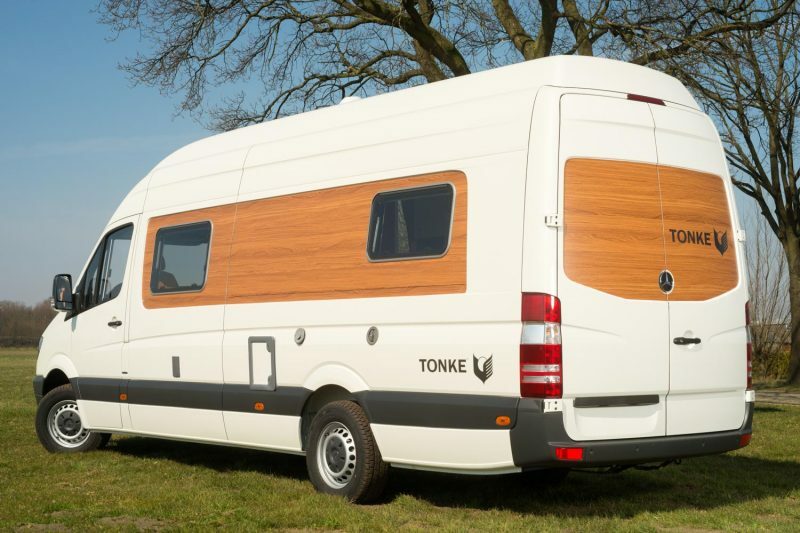 This Voyager 470 from Tonke , located in Holland, looks like many other van based conversions apart from the telltale wood panels on the sides. Tonke go much further though with their other models. Regular contributor Martin , from Scotland, sent in some interesting links recently. 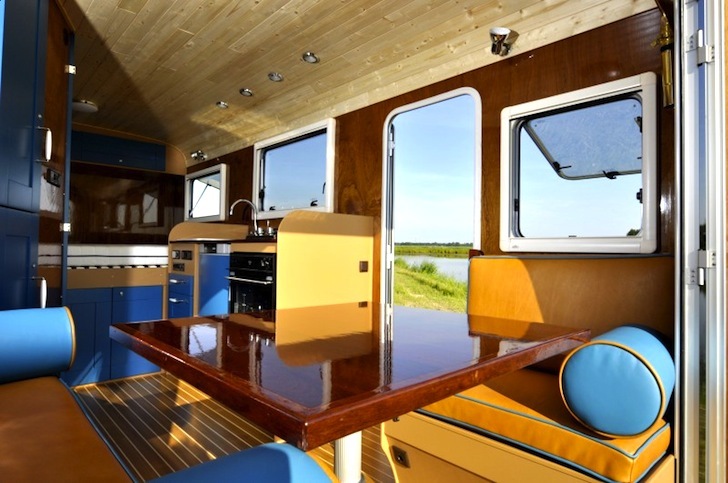 Inspired by Gypsy caravan and traditional yacht decor, Tonke have at least four versions of their timber built campers. Some versions are detachable for free standing off=grid living. Others utilise the cab as an integral part of the habitation with swivel cab seats. You can have either a “garage” for your cycles or a fixed bed for example. 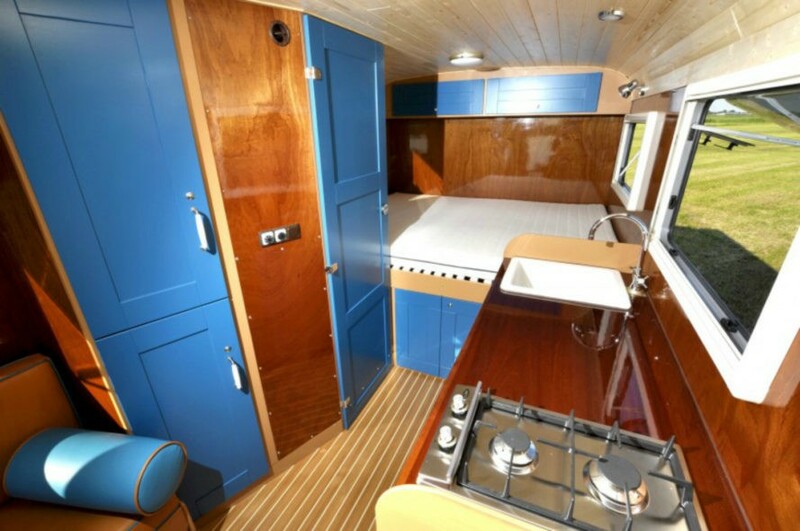 The traditional timber surfaces are very evocative of many old Bedford , Austin and Ford campervans of the past. I would imagine that the smell of wood would instantly bring back happy memories for the older ones amongst us. 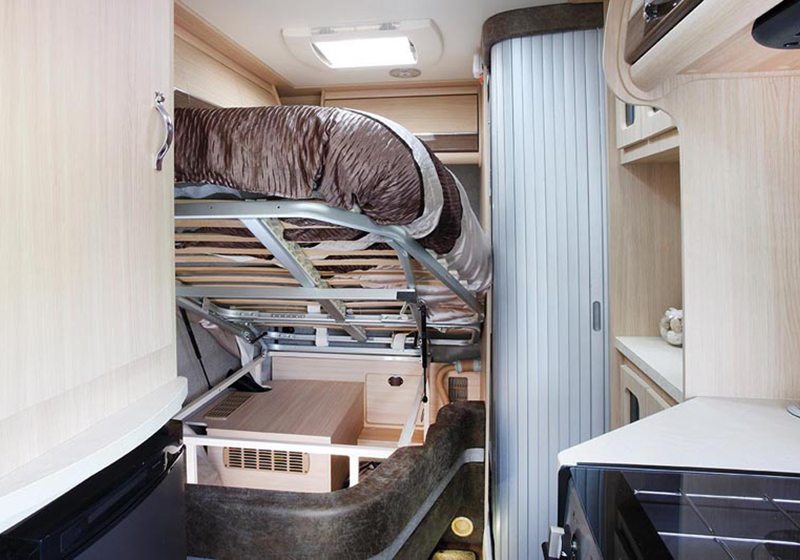 Very different from the Autosleeper Kingham featured in a post below, which is ultra modern in the materials used. Tonke offer a wonderful mix of “ancient” and modern. 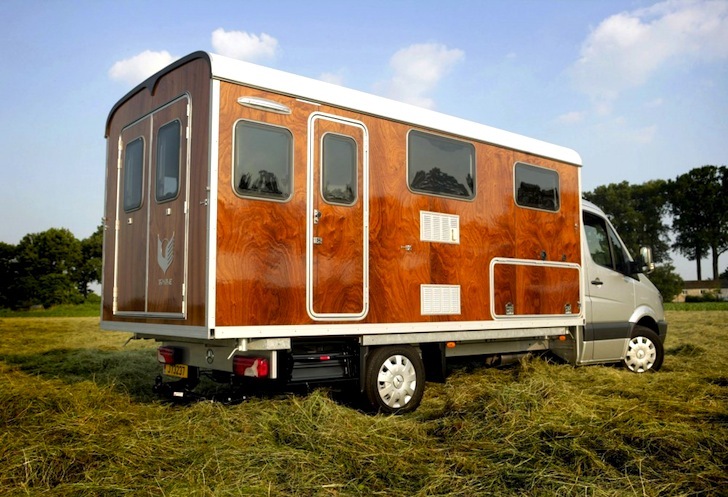 Probably not the lightest of campervans but green in it’s use of renewable material perhaps? Not sure that Tonke offer a custom finish to buyers. I would personally go for a much intense “flavour” of traditional Gypsy caravan style. As close to Bow Top as you could get. Perhaps with that all important log burner? A most interesting range of campervans. I find them inspiring and could see many people spurred on to go for a DIY self build version. 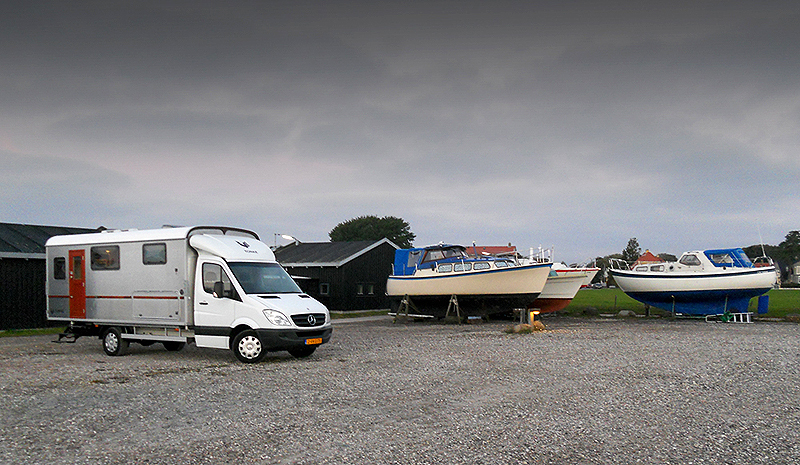 Prices range right up to the 70,000 euros plus which you could pay for a top of the range Autosleeper, Autocruise or I.H. Camper. I could not resist embedding this Video below. A blatant advert for a favourite, practical little motor caravan from East Neuk. Have a look and then view an American alternative in the posting below for comparison. 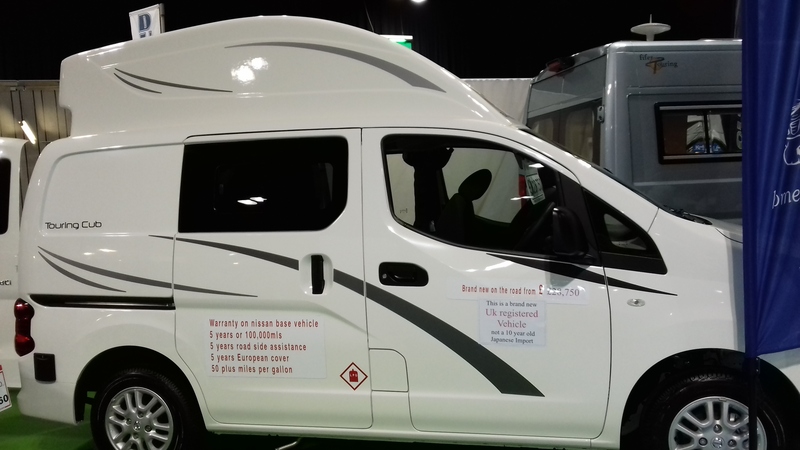 With what looks like a choice of interiors, this range of 2.0 litre Petrol , NV200 camper vans from US based Recon-Campers have some interesting features. 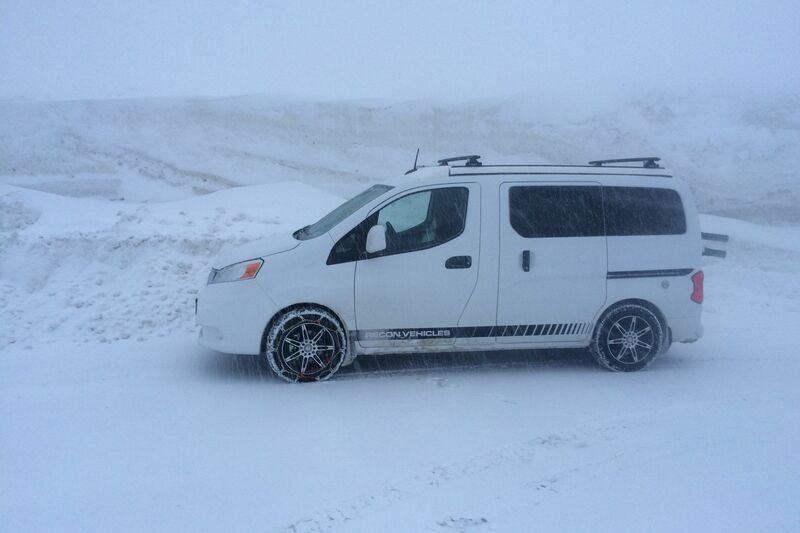 Solar chargers cope with long periods of remote camping whilst winter conditions allow the use of snow chains. Not often seen in the UK (but sold at Aldi, periodically) , snow chains are compulsory in some EU countries under certain conditions. I presume that the photo within the review indicates the year round capability. If I recall correctly the 2.0 litre petrol versions achieve only 26 mpg (US gallon) highway which is heralded as very good over the pond but which I think is quite poor. There must be some reason why the use of the Renault 1.5DCI turbo diesel offering around 53 mpg (UK gallon) was not used. The 110ps on offer with the 1.5 litre engine is well up the job. 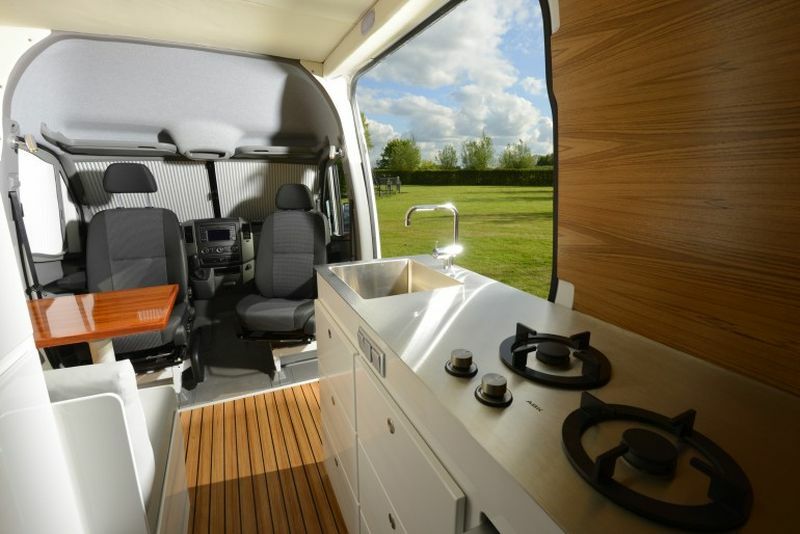 What super , compact campervans from Recon ! No way that the current exchange rate allows for an economical import though. We returned from London on Sunday teatime but it was not until Monday that we noticed some new damage to our Elddis Caravan. Someone had thrown a small bottle containing beer (Budweiser…… have they no taste????) extremely hard into our frontage. The bottle had struck the side of the caravan, bounced off, leaving one deep dent, a little dent and some scuffed paintwork. It then went on to smash against the substantial wall capping of our low boundary wall. There was still evidence of dried beer on the almost new masonry paint. The smashed bottle lay in mostly tiny fragments on the slate of our car park. It would only have been possible when only the caravan was there. Then, today, we parked the campervan on one of the car parks in Market Drayton for our usual shopping trip. Returning to drop off some shopping, we noticed new damage to the offside rear corner of the campervan. Someone had crunched the metalwork between the offside rear light unit and the plastic lower bumper. A chap eating a sandwich nearby had seen nothing and said that the space adjacent to us had been empty since before he had arrived. Sadly, the rear facing “dash” cam showed nothing on interegation via the laptop. Ho hum ! Perhaps a good job that I did not catch the culprit. I have been known to become physically involved. Probably got enough small repairs now to warrant repairs. Not worth claiming on insurance??? 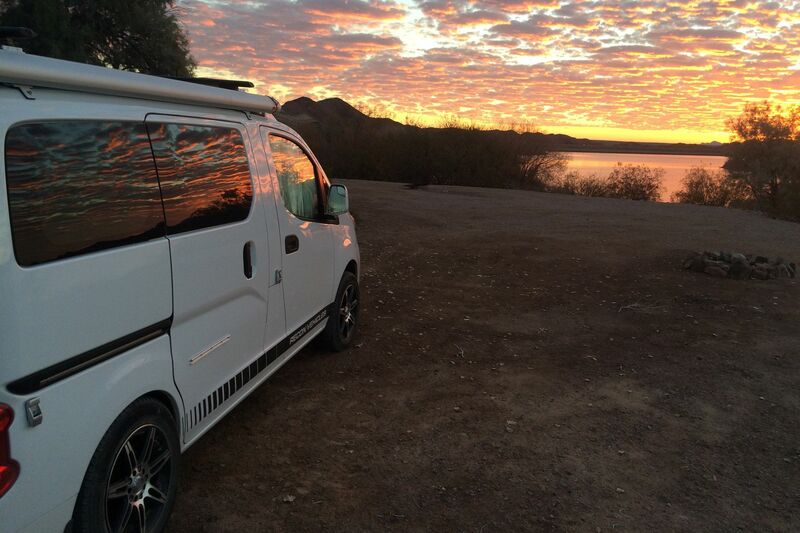 Every once in a while, even if we feel “settled and at peace” with our campervan of choice, we check out alternatives to see if we could improve our experiences. So, on route to Attingham Park and a National Trust lunch, we stopped off at Salop Leisure Ltd., for a quick peek at what they had in stock. 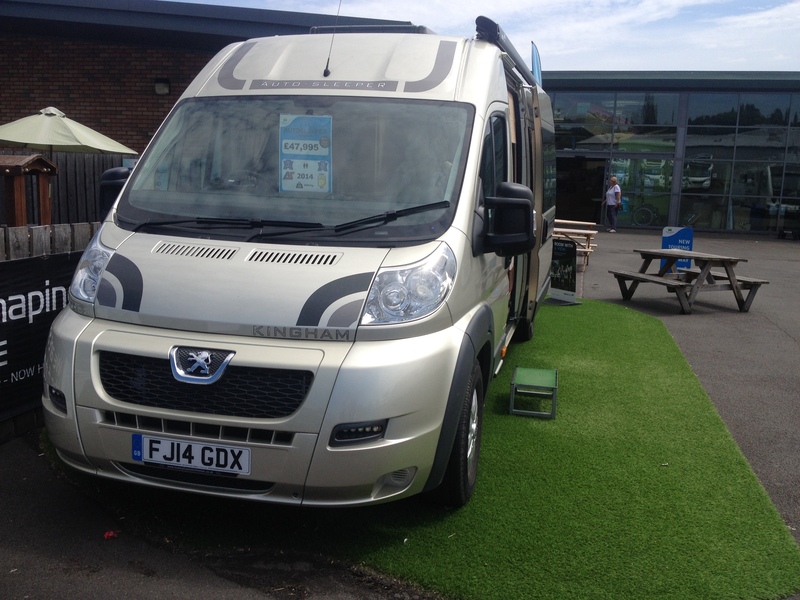 We were immediately taken by this 2014 Auto Sleeper Kingham. Peugeot based rather than Ducato, it was still reminiscent of our old Trigano Tribute especially the front lounge with side sofa and swivel cab seats. Only two seat belts though. 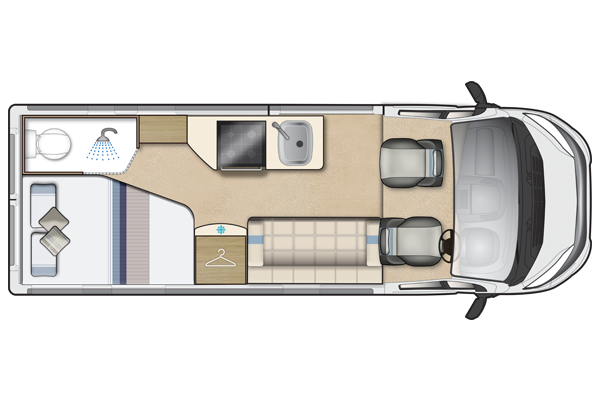 With a relaxing fixed bed removing those night time setup woes, it looked like an easy living, luxury home on wheels. 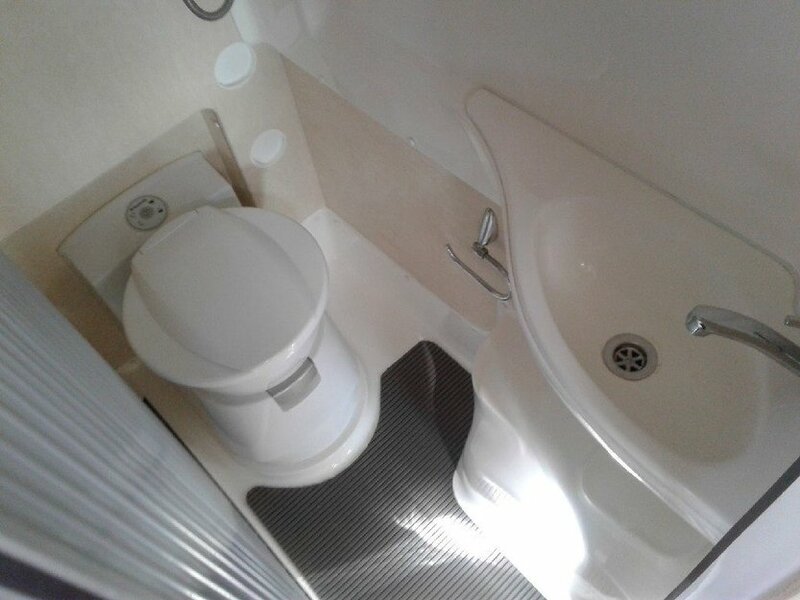 A narrow rear washroom “ensuite” , an oven and hob, a microwave and a bike rack already fitted, it was attractive to us. 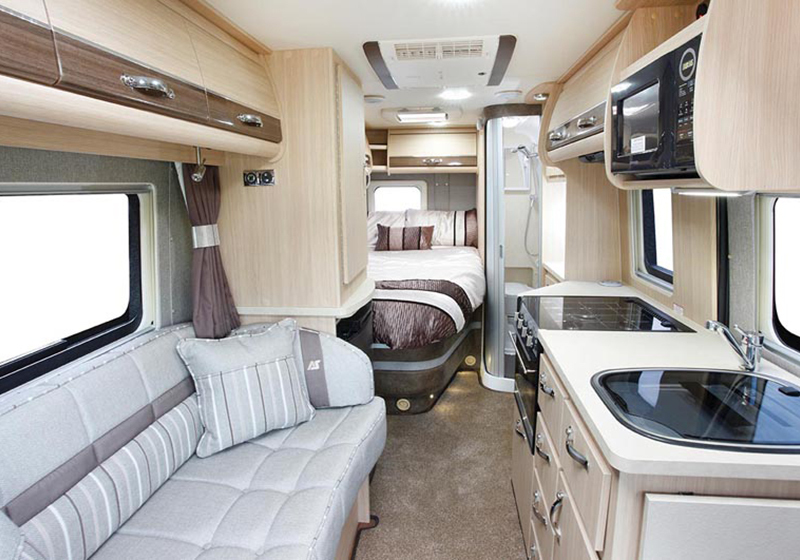 Priced at the top end to reflect it’s superb condition, this 2014 model oozed class. The fixed bed was the very common shaped, wedge plan. OK if you are used to a 3/4 campervan style bed. Especially if you and your partner still get along well. This bed lifted up for access too. With the passenger side cab seat swivelled, I got into my favourite posiition, looking rearward, down that long length of ” van”. A long walk to the standard, drinks and wineglass cupboard. Not so sure about the the washroom door. Perhaps OK if you keep the runners well lubed with silicone spray? COMMENTS WELCOMED PLEASE. 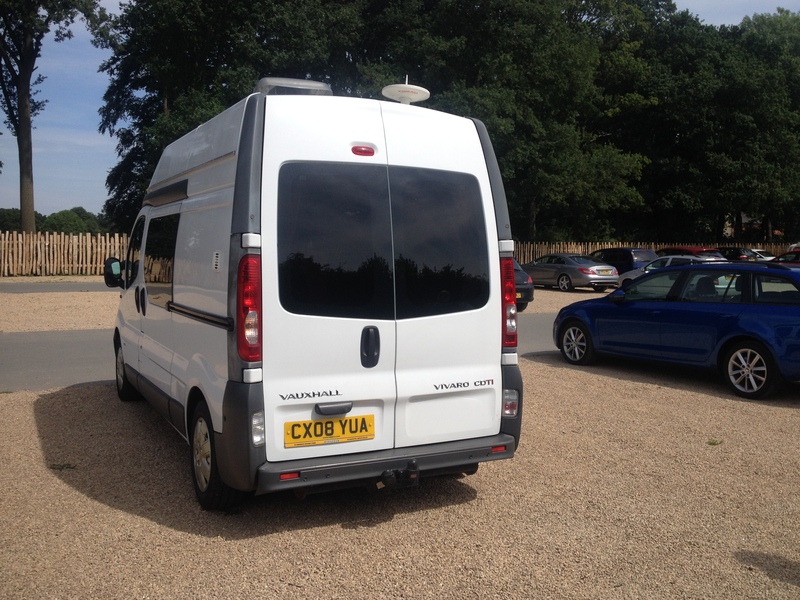 Not sure that we are ready to commit to a swap, especially at the advertised price (gulp ………) but we did like the layout………………..
At Attingham Park, in the sun again and just down the road, we had a lunch chatting over this new “find” before touring the house , of which we never tire. On the way out, we spotted this Vivaro Hightop. It did not seem to be branded but was a very nicely finished example. 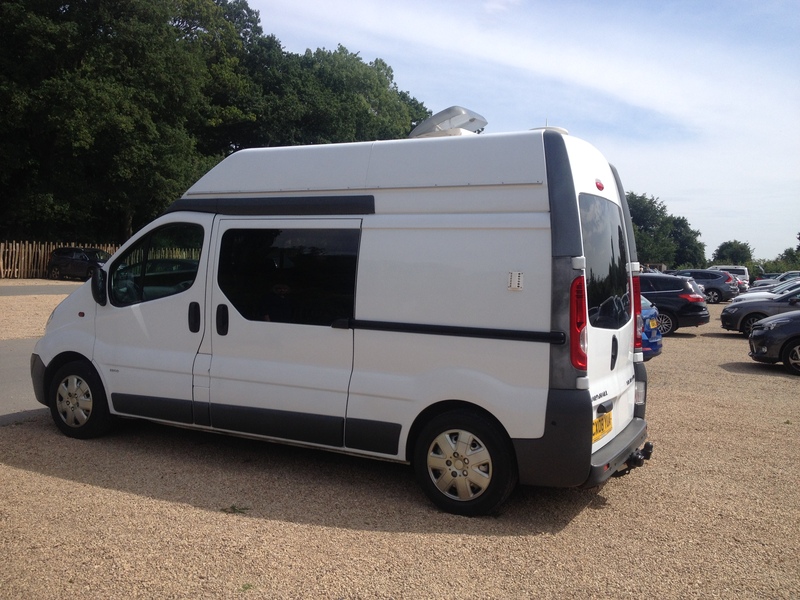 I think that it was 2.0 litre with 115 ps which is only 5ps more than our Renault engined NV200 and a bit heavier too. A nice bit of kit ! I would have loved a nosy around the interior but the owners were nowhere to be seen. Not seen one of these before. Do I lead a sheltered life, I wonder? 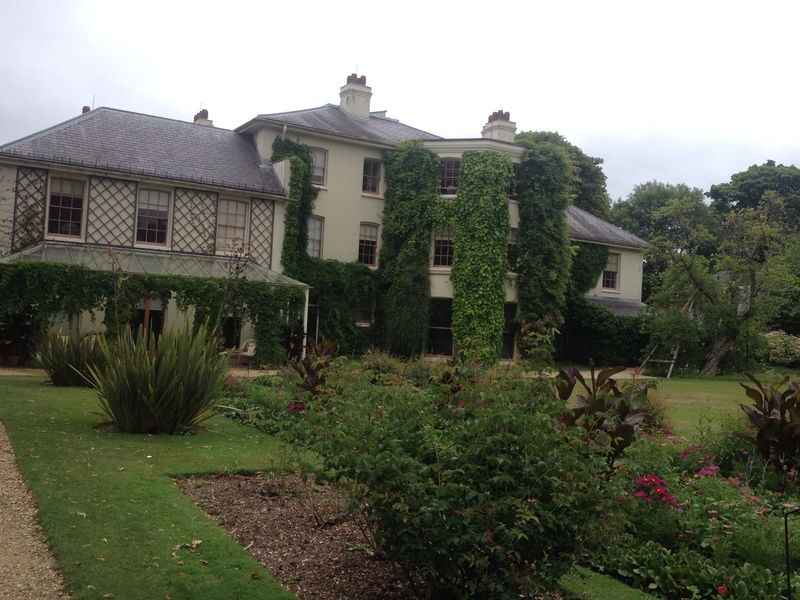 As part of a week’s break in London ,meeting with family, we visited Downe House, the home of Charles Darwin. Less than 9 miles away from my daughter’s home in South London and within the M25 circle, the village of Downe is typically English and very beautiful. One of the ” fathers” of theory of evolution, Darwin lived here with his large family. He was reported to be very child friendly and had a wooden slide which could be fitted on a stairway for the children to play. Coupled with a swing and cricket matches played in the corridors and halls of this lovely home, I think that the evidence is there to confirm it. Charles was married to his cousin, sharing the same grandfather. 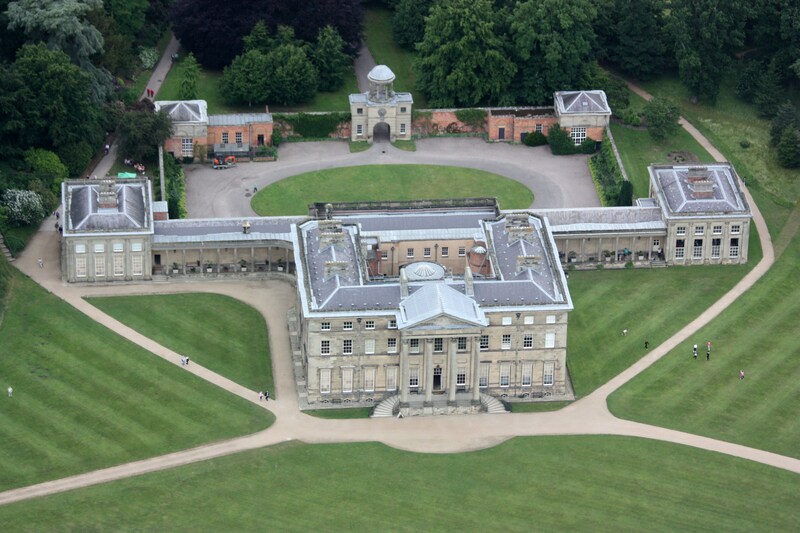 Related to Josiah Wedgewood, the whole family were gifted, scientific and productive which, added to their tremendous wealth, made them a force to be reckoned with. 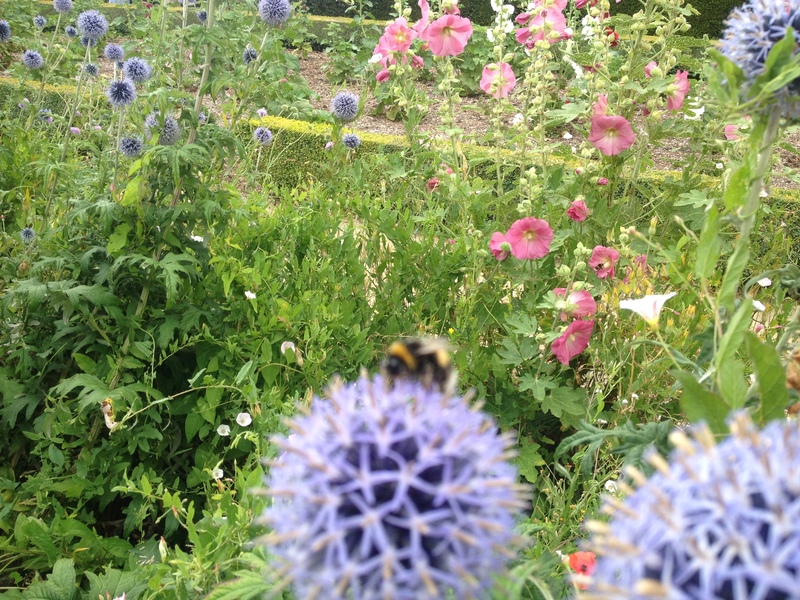 The garden was used for Charle’s research and he wrote his famous books within Downe House. The day was warm and sunny with a fierce heat to be felt from the direct sunlight. Bees were much in evidence which encouraged me to buy some honey laced, dark beer from the English Heritage shop. 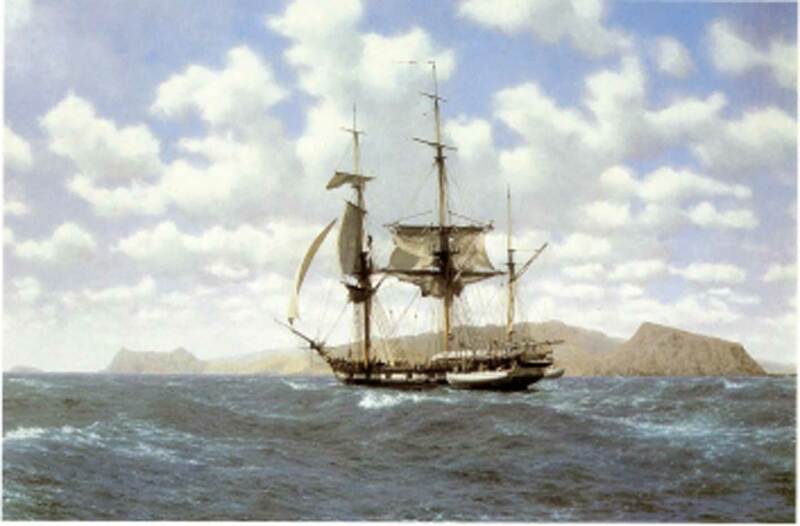 Darwin had travelled for 5 years aboard The Beagle, seeking out samples, evidence and clues to the origin of man and the adaptations of wildlife to cope with changing conditions. A tough journey. You needed to be brave just to commence it. 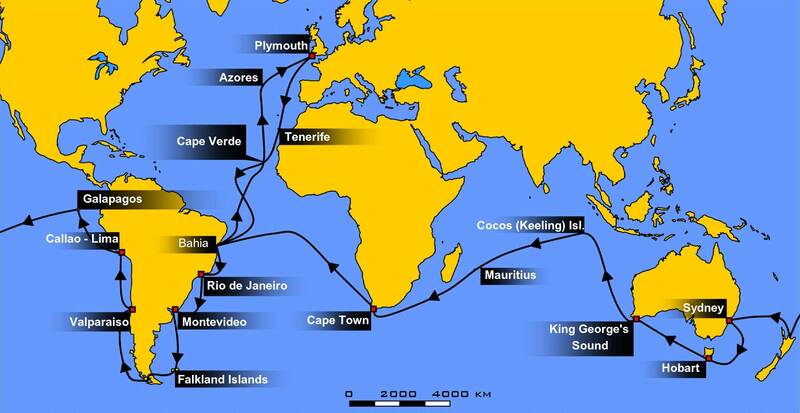 Just look where these gallant men sailed. Our day at Downe House was interesting and fun. We had lunch with my son , his American wife, my daughter (complete with grandson to be ! ), her husband and our grandaughter aged 2 and a bit. 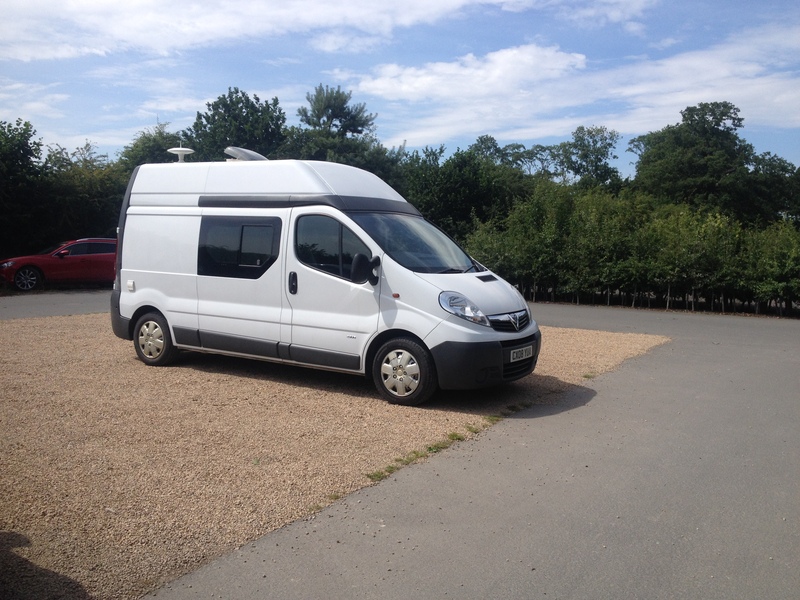 The campervan was perfectly sized for the narrow and winding country lanes around the area and there were several admirers on the car park when we prepared to leave. We made good time , getting home in about 3 hours, which for around 180 miles is pretty good. Shame though, that yet again, the M25 anticlockwise from Dartford was plagued by drivers hogging the outside lanes at low speed. This produced the inevitable “undertaking” by the the even more lawless amongst us. No old style traffic cops to be seen. What a surprise ! In a world where everyone must work beyond what is sensibly achievable. The M1 Northbound was even worse. Tailgating was the norm. I saw gaps between cars of a half a car’s length , running at 65 mph. Again, slow drivers hogging the outside lanes en masse. Even Darwin would have muttered “Jesus” under his breath, but then he probably did not believe in him. I just wonder how little some of these senseless and dangerous drivers have evolved……………………………. rant over.